With the summer season "officially" starting this Memorial Day weekend, I thought it was appropriate to put together a display that can take me through the season. Decorating for fall and Christmas is easy. There are plenty of decorations to be made or purchased. The colors are pretty much predetermined, unless you are willing to break free from the traditional box. Lots of inspiration exists on the internet and in print to guide your decorating decisions. Even spring has a color pallet. Add in some tulips to your pastel colored display and you are good to go. 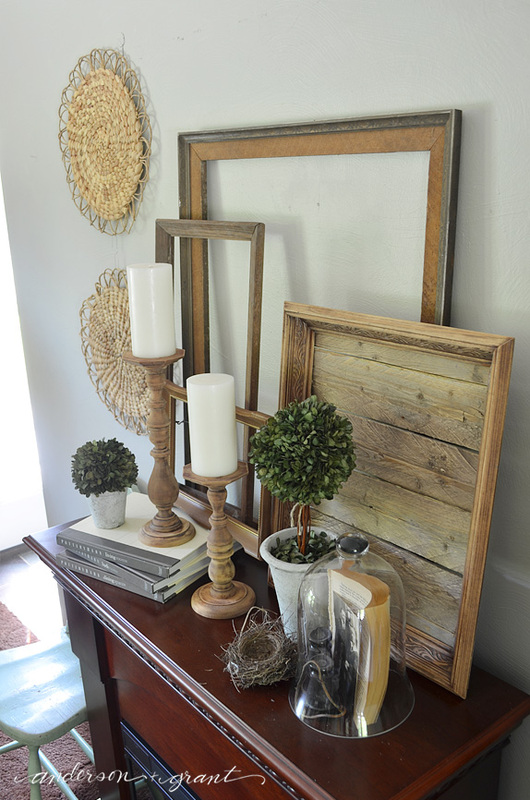 Decorating an everyday mantel for summer is a bit more difficult. What do you use? 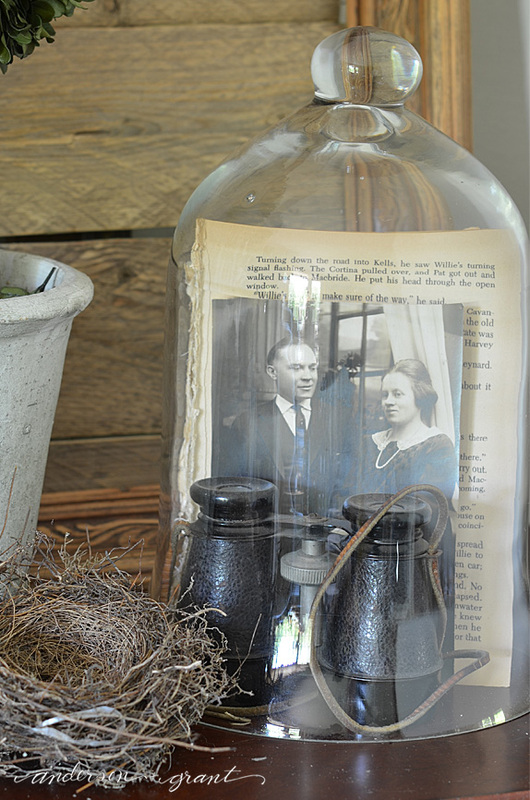 In my opinion, summer is the perfect time to get out all the treasures that you have around the house that may not normally be displayed. Do you have any collections? Some family heirlooms? A few items that you feel are totally you? That is exactly what I did. 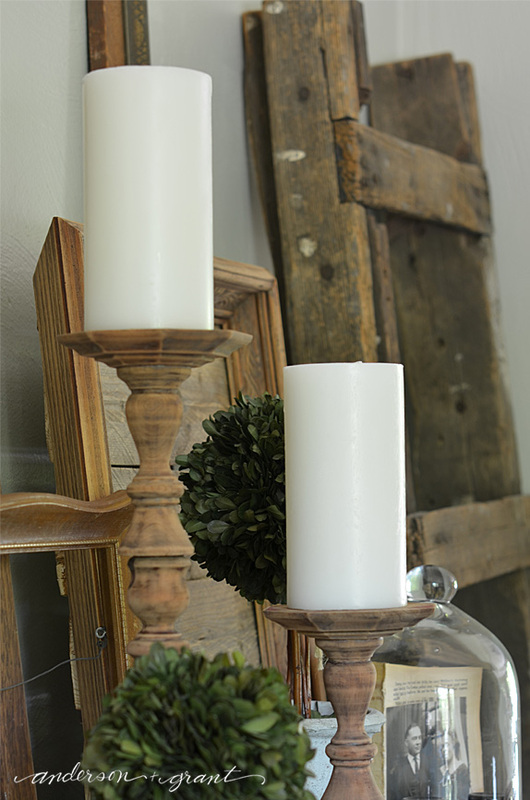 You can't ever go wrong decorating with items you love or that hold special meaning for you. Those items have your heart and speak to you. 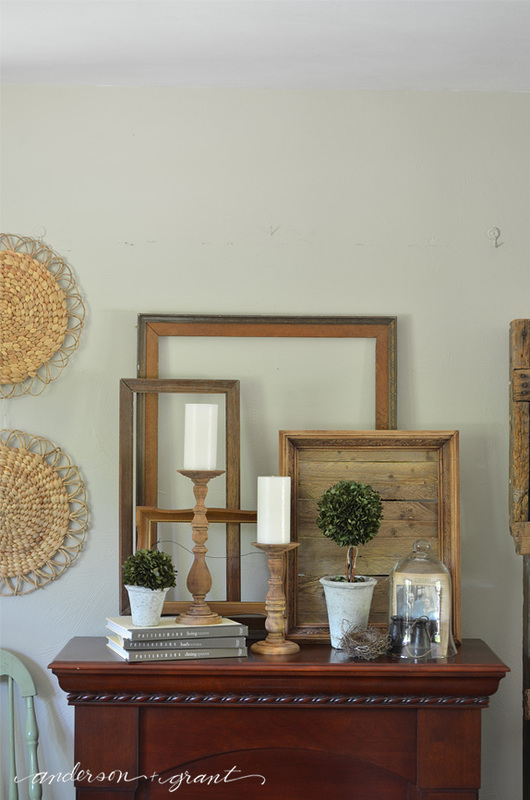 If you are lost as to where to take a display or what to put out, add in those treasures and things will start to come together. 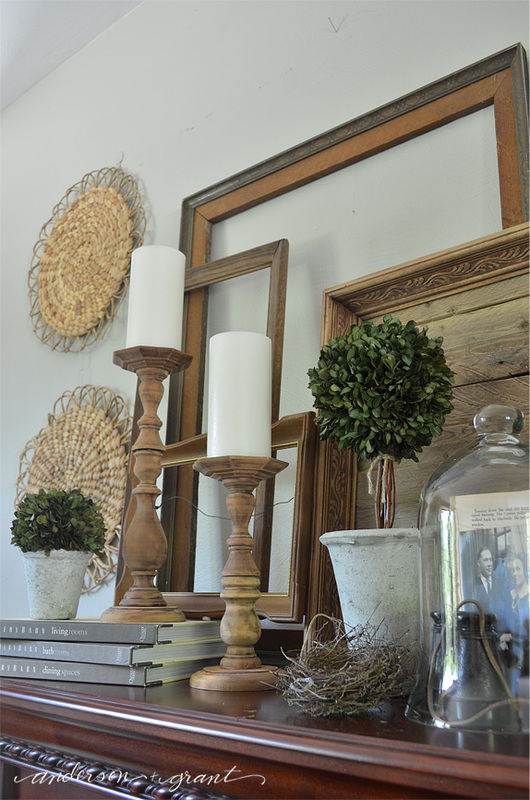 My mantel decorating started with the rustic candlesticks I made and shared with you a few days ago. 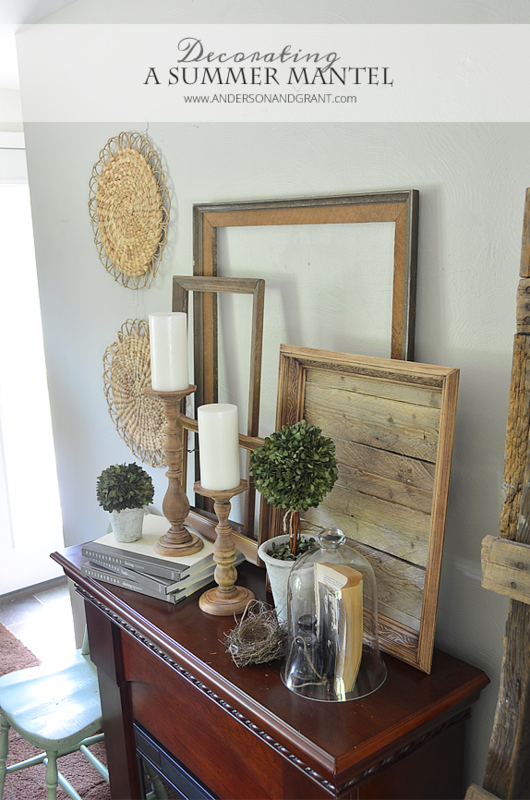 I built my display from there using mix of wood, neutral colors, and natural elements. In addition to a few empty frames, I also used the wood tray I made out of an old picture frame. 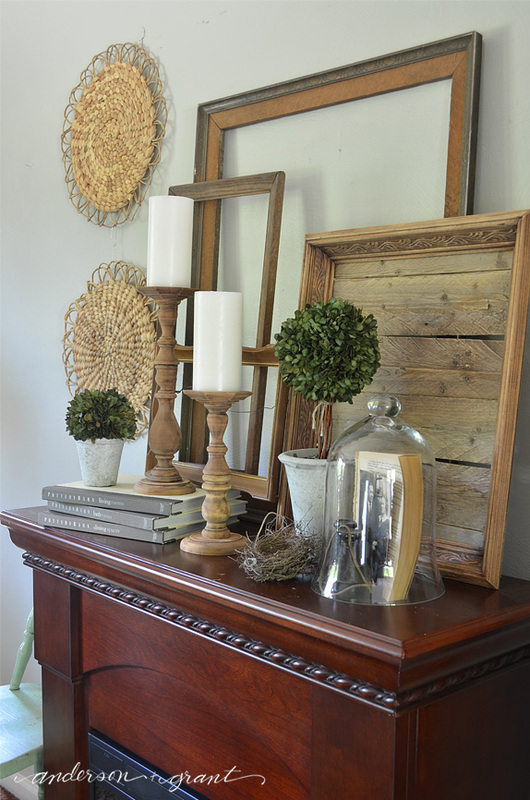 When it leans vertically against the wall, it provides a bit more texture behind the items sitting on the mantel. They don't get lost in the gray wall behind the fireplace. In front of the tray is a cloche holding a vintage picture and a pair of binoculars that once belonged to my grandpa (my mom's father). 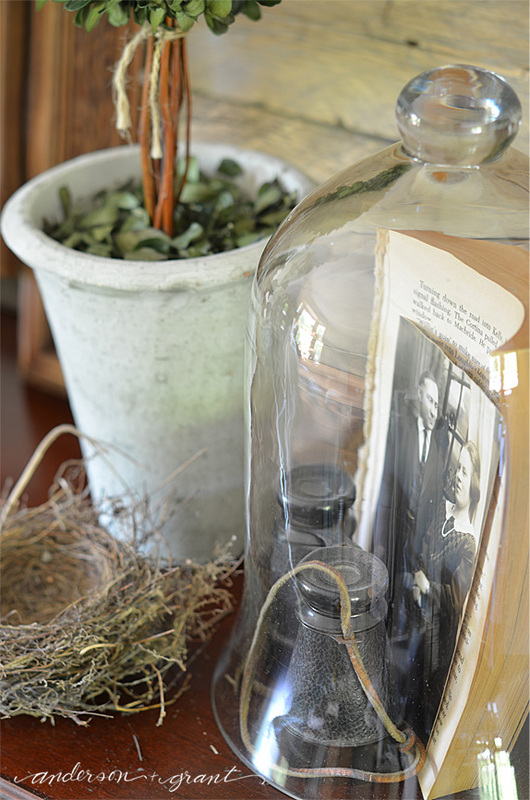 Glass cloches protect the items being displayed and bring random items together to have a little more importance. Behind the picture is an old Reader's Digest book that has the cover ripped off of it. It provides something for the photograph to lean against and keeps the picture from disappearing in the display. 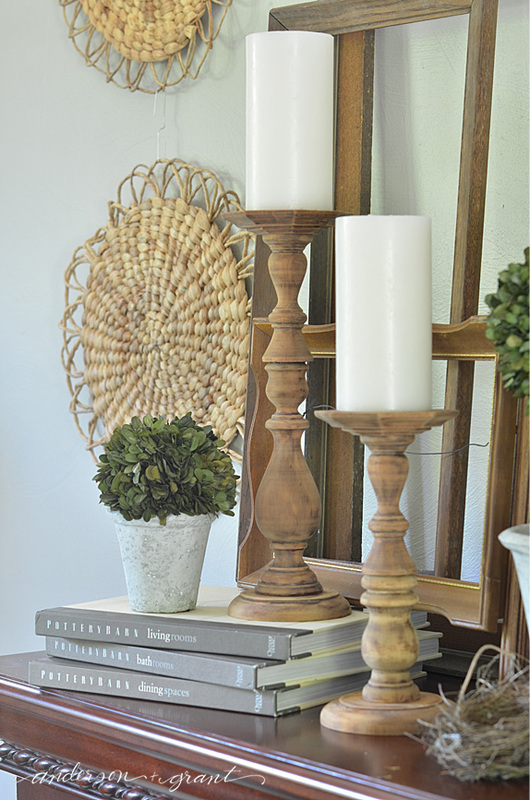 Something I decorate a lot with are books and these ones from Pottery Barn are some of my absolute favorites. 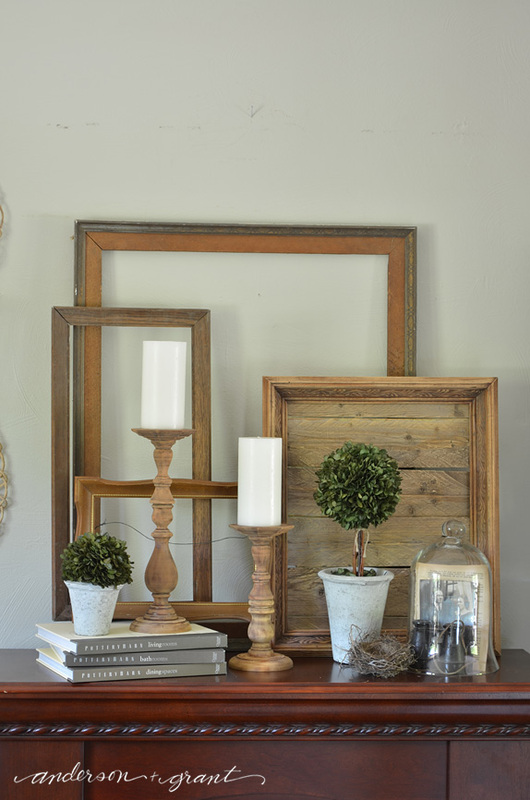 Not only are they packed full of inspiring PB images, but they are neutral and look great mixed in with my favorite items in displays. 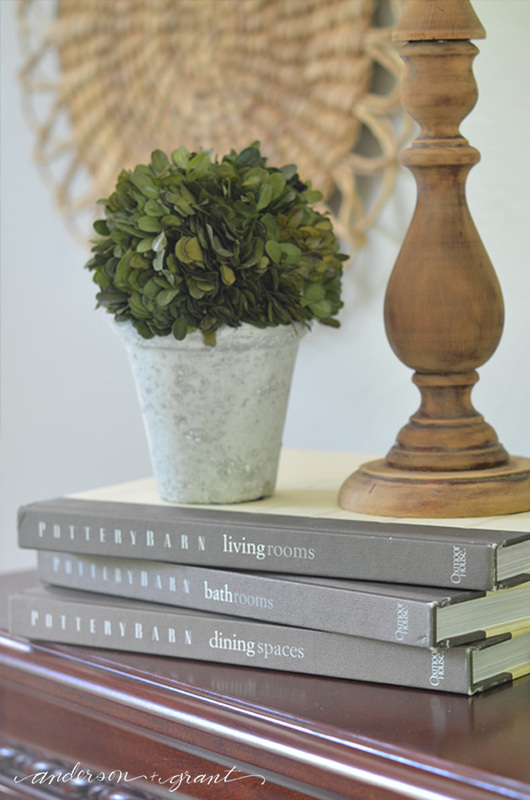 Books can add some color and texture when you are decorating, but they also allow you to add height to a display. 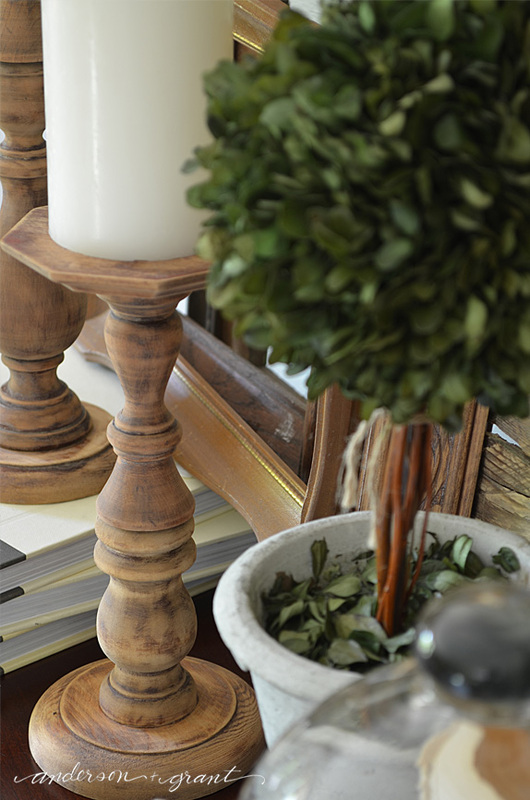 Without the pile of books on the mantel, everything would be resting on one single surface. 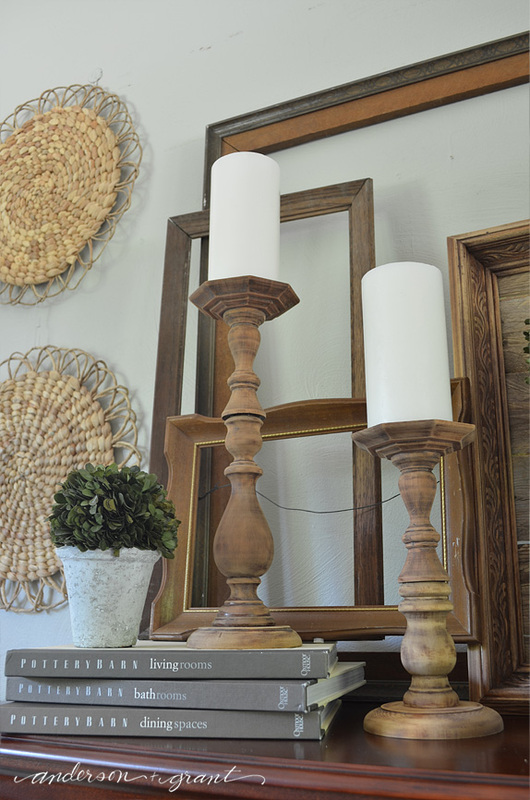 Even though the pieces are all different heights, it can look like all you did what set some things on the mantel. But add a pile of books (or anything to add height) and your eyes are forced to move around the display. It is a simple tip that will improve your decorating skills. 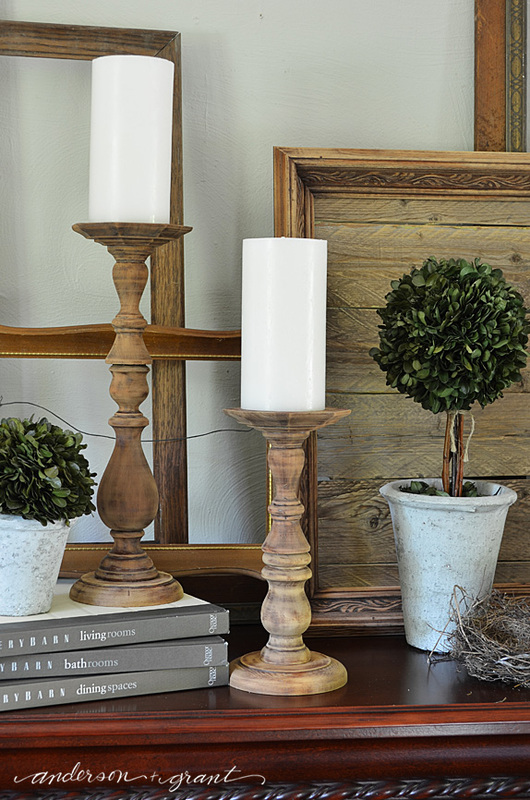 Boxwood is my favorite thing to add into a display, in case you haven't noticed through my posts on a + g. But I'm not apologizing for using them so often. 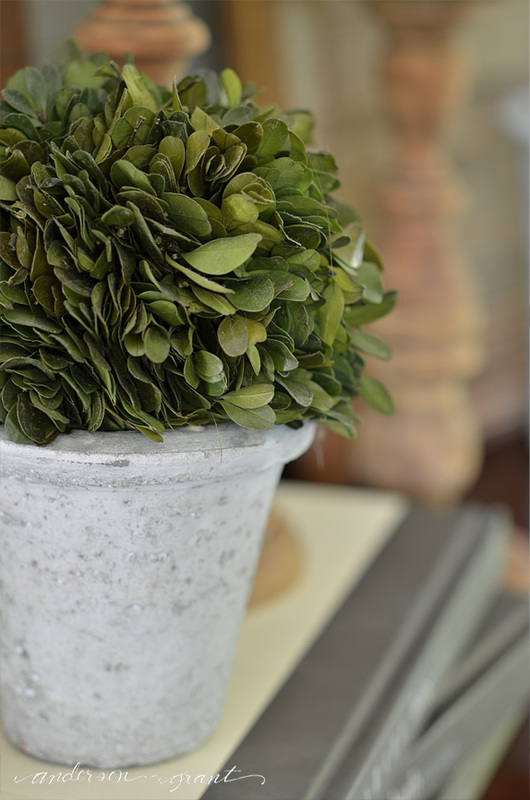 Preserved boxwood adds a little life to a display anytime of the year. But I really love using them during the summer when there isn't as much to decorate with. I just love seeing that pop of green in the display. 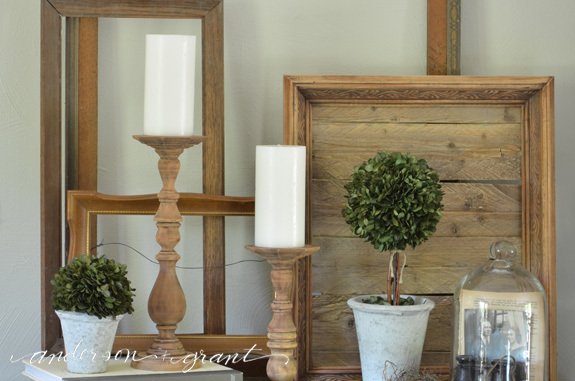 So that is my summer mantel and a few tips to help you create your own display this season. 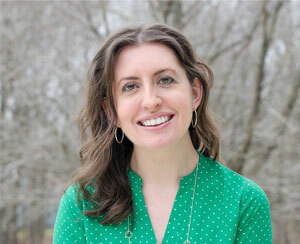 The biggest and most important tip of all, though, is to just have confidence in what you put together. It really doesn't matter if anyone else likes what you put together as long as you are happy with it. Your confidence will grow when you learn to trust in your own abilities and judgement. Easier said than done, I know! And because I was a little photo happy when I was taking pictures and now can't choose which images to eliminate.....here are a few final pictures of my mantel. Thanks for visiting today. I hope you have an enjoyable holiday weekend. Any big plans?